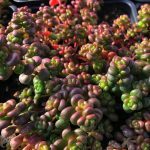 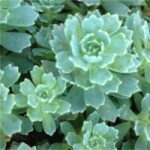 This sedum variety offers weed-resistant round cover with dense green to blue-green evergreen foliage year round. 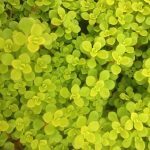 Bright yellow flowers are showcased from June to August. 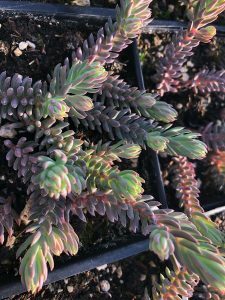 Reflexum ‘Blue Spruce’ can stand a lot of water, but does not want to sit in a bog, so it likes to be in an area with good drainage.